The Hawks defeated the Heat, 106-82, tonight in Atlanta. 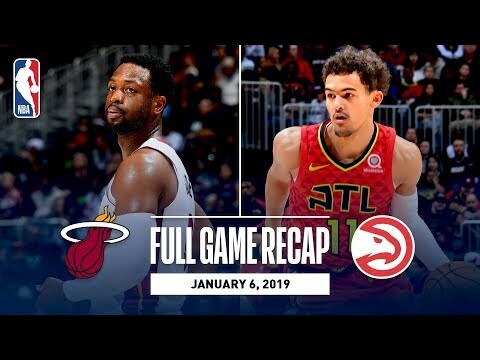 Trae Young led all scorers with 19 points (6-14 FG), to go along with 2 rebounds and 2 assists for the Hawks, while John Collins tallied a double-double with 13 points (5-6 FG) and 13 rebounds. Derrick Jones, Jr. led the Heat with 14 points (5-9 FG), along with 3 rebounds and 3 steals, while Justise Winslow finished with 13 points (6-16 FG) 5 rebounds and 3 assists in the losing effort. The Hawks shot 43-91 FG (47.3%) and 10-24 3pt FG (41.7%) as a team in the game, compared to 31-87 FG (35.6%) and 5-34 3pt FG (14.7%) for the Heat. With the win, the Hawks improve to 12-27, while the Heat fall to 19-19 on the season.